ICS can help your office implement Electronic Health Records. Implementing EHR/EMR is not a simple task. This is not software you buy off the shelf at the local office supply store. These systems are incredibly complicated to implement and there are a lot of systems to choose from. Add to that integration with Testing Labs, Voice Recognition systems like Dragon Naturally Speaking, Mobile Devices, Scanning and Faxing systems, Training, and most important Data Security and you have a fairly complex project. 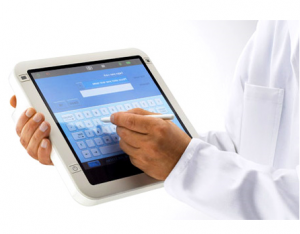 FREE Advice – Do not try any implement an EHR/EMR system yourself. EMR is a team effort and you need a team that knows how to manage the process. Strong project management is the single most important element in making the move to Electronic Medical Records. There’s a lot to manage and the sequence in which things happen is critical. Without an experience project leader you are guaranteed to waste time and money. You’ll also need IT Support with experience in Electronic Health Records. The EMR vendors do not do all the work for you, and you need someone ensuring you’re buying the proper equipment and more importantly not purchasing hardware or software that you don’t need. There will also be new hardware to install, networking changes and troubleshooting to dial in the system to work for you. If you’re ready to start the move to Electronic Health Records / Electronic Medical Records call ICS for a free consultation.